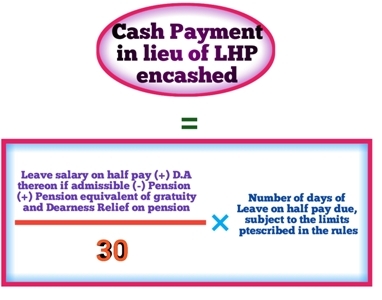 The Ninth Pay Revision Commission submitted its report to the Government on 05.10.2009 and recommended, inter alia, that, "The Commission after examining the above request recommends to adopt the same formula in the case of encashment of Leave on Half Pay at the time of retirement / death in the case of State Employees also subject to the condition that the total number of days of earned leave + leave on half pay put together should not exceed 300 days for encashment". 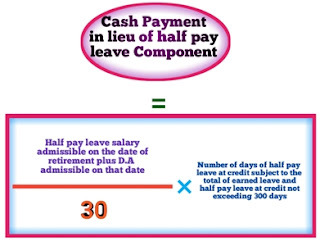 It is observed in the report that as per the existing orders, the cash equivalent of leave salary on account of enchashment of leave on half pay shall be calculated in the manner indicated below. 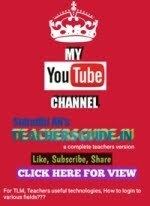 The above formula was adopted based on the orders issued by Government of India to its employees. The Employees Associations requested to adopt the above formula in the case of encashment of L.H.P of the State Government employees and the Commission after examining the above requests recommends to adopt the same formula in the case of encashment of Leave on Half Pay at the time of retirement / death in the case of State Employees also subject to the condition that the total number of days of earned leave + leave on half pay put together should not exceed 300 days for encashment. After careful consideration of the report, Government decided to accept the recommendations of the Pay Revision Commissioner and hereby order that formula for calculation of encashment of Leave on Half Pay at the time of retirement / death in the case of State Employees shall be as follows subject to the condition that the total number of days of earned leave + leave on half pay put together should not exceed 300 days for encashment.